The Social Security Administration manages and disburses retirement benefits for all American citizens who contributed a portion of their earnings into the federal government’s retirement plan during their working years. Initially, the qualifying age for retirement benefits was 65, but you can apply for Social Security as early as age 62 or wait until you reach the full retirement age, now based on your date of birth. The amount of your maximum monthly benefit at age 62 is lower than it would be at your full retirement age, but you receive benefits for a longer period, assuming that you don’t die. Calculate your retirement benefit payments with the SSA’s online benefit calculator, when you reach 61 years and 9 months, the qualifying age for early retirement. Collect the documents you need to get information from or submit with your claim for retirement benefits. You will need your Social Security number, place and date of birth along with your current employment information. Locate your most recent SSA benefit statement. The agency mails these summaries to citizens annually, showing your eligible earnings and payments from employment and self-employment taxes. Complete your application for benefits online using the SSA’s secure website if you live in the United States or its territories. Contact the U.S. embassy, consulate or the regional SSA office, if your current address makes you ineligible to apply online. U.S. citizens residing in the Philippines can contact the Veterans Affairs Regional Office. Save and print a copy of your application for your records. Make a note of the correct record number, assigned to your online application and the URL of the website for tracking the status of your application. Mail any documents that the SSA needs to process your application to the regional SSA office or take originals to a designated office for verification. Write your social security number on copies of documents that you submit with your application. You may need a copy of your birth certificate, naturalization papers, military service records, marriage and divorce records and your spouse’s Social Security number to complete your benefits application. Full retirement age for Social Security benefits ranges from 65 to 67, depending on your year of birth. Workers born in 1937 are now the last ones who reached eligibility for full retirement at age 65. Baby boomers born between 1953 and 1954 reach full retirement eligibility at age 66. 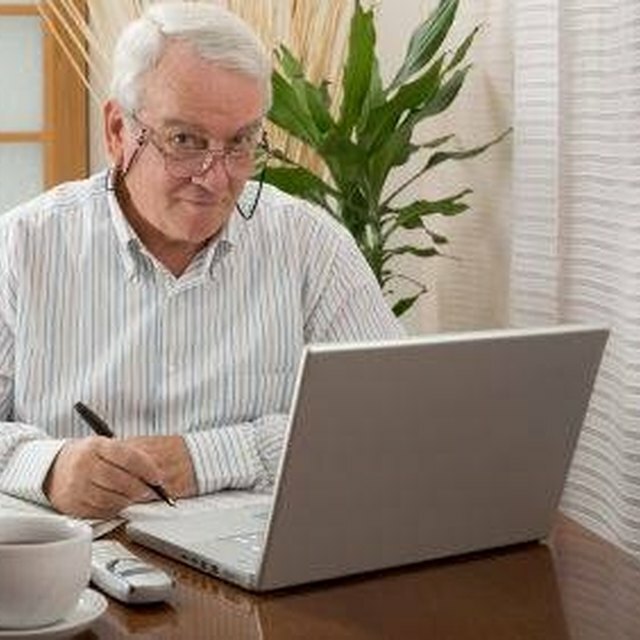 Workers born in or after 1960 become eligible at age 67. Do not write on original documents that support your application. The SSA allows you to take these documents to a regional office for verification, to avoid loss or damage to hard-to-replace documents. The SSA reduces your retirement benefit by 20 to 30 percent per year when you apply for your benefits before you reach the full retirement age for your birth year. Spouse benefits decrease by 25 to 35 percent.